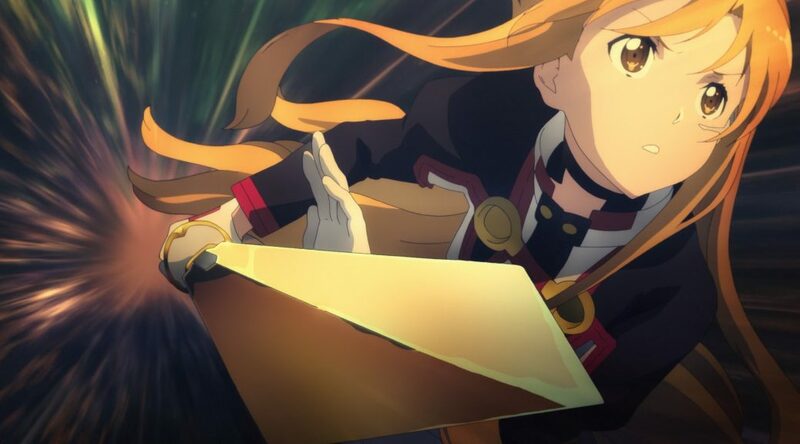 The Sword Art Online: Ordinal Scale movie has finally been released on bluray in Japan, and so we bring you the translation of the commentary many of its animation directors gave while rewatching the film together. If you’re a fan of the series, or simply enjoy the film’s spectacular action, there’s plenty of insight as to how it all came together. 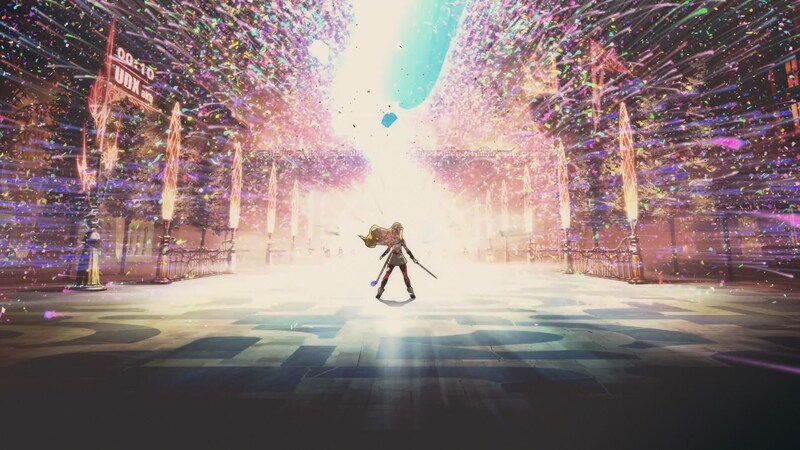 – Today we’d like to look back on the production of Sword Art Online: Ordinal Scale while we watch it. Adachi: I was surprised that the opening was fully CGi, as I realized what the intention of the storyboards had been all along. Aincrad itself isn’t that big here, but it feels wonderful to start the movie going into it. I called out to CG director (Ryuta) Undo-san and told him it was amazing, and he replied “That’s the first time I’ve been told something like that.” It was like he was concerned about what I would say. Suzuki: After all, Adachi-san is the mood maker here. – Maeda-san, Komatsubara-san, and Nishiguchi-san served as animation directors for the A-part of the film (up until Klein gets taken out) alongside someone else, right? Maeda: Right. The animator who drew the opening scene was Hiroshi Kawaguchi-san. I thought the way he articulated the characters’ gestures was very skilled. Adachi-san’s designs have changed a bit from the TV series, haven’t they? Maeda: It feels like they’ve become more mature. Their look is more realistic as well. Adachi: I think that if you’re going to make a movie version, then you must have elements that give that theatrical feel. I also took into consideration all sorts of things, like the desires of international fans, thinking perhaps the eyes should be a bit smaller. More than worrying about the format though, the main issue was that I wasn’t satisfied with my own drawings up to that point, so I revised them on a larger scale. After all, I’m the type of person who becomes instantly unsatisfied with my own work. 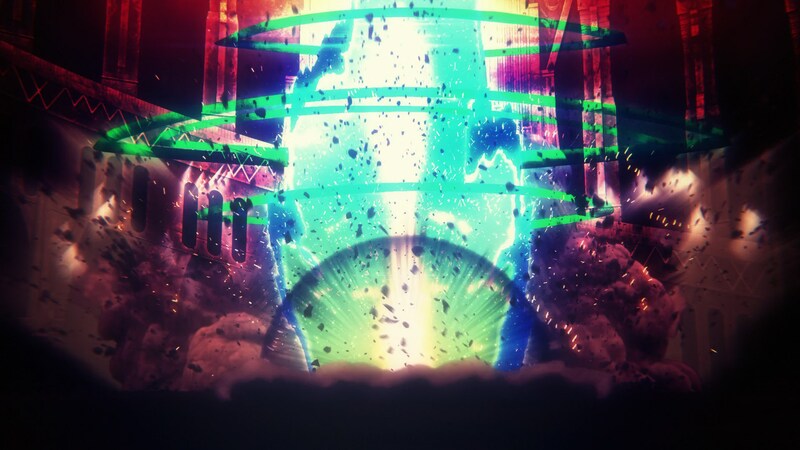 – Moving on from that, we see a PV-like scene used to introduce the Augma tech. Maeda: Early on I just kept on wondering how to start off that sequence. (Sugio) Yuuichi-san was in charge of its key animation, and in the end it remained pretty much as-is without any corrections. 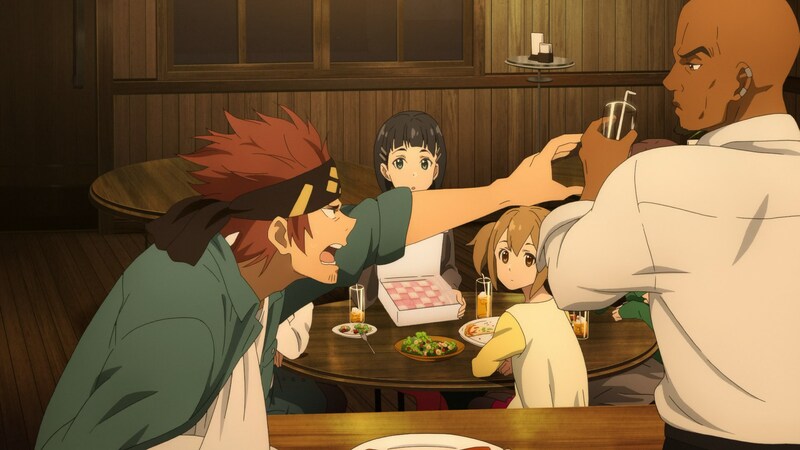 Adachi: The gesture where Silica’s head waggles back and forth in the family restaurant was a scene not in the storyboards, right? Maeda: That’s true. I don’t think it was a question of the scene being too static. We had kept the main points from director Ito’s storyboards, and at first it wasn’t in our drawings either. It was something that we felt was necessary when we were thinking about how to brush-up the visuals. 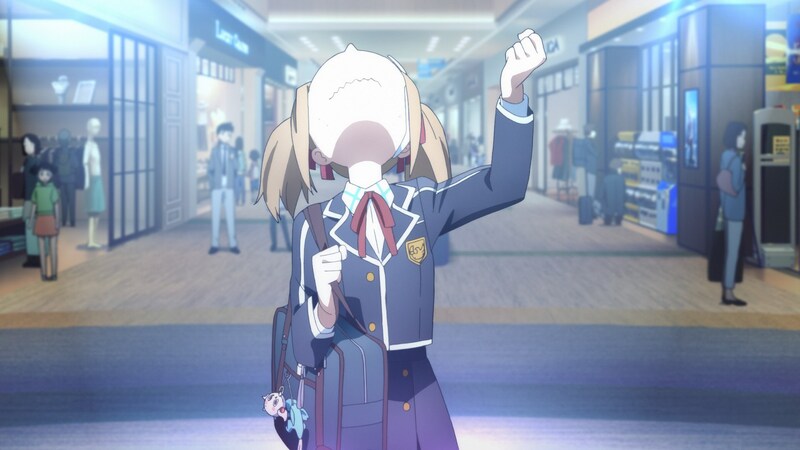 – Silica’s facial expressions during the scene where she sings were hilarious. Maeda: The key animator in charge here, (Yuuga) Tokuno-san, went to a shopping mall to scout it himself. Those expressions were kept as he drew them. As I didn’t know what would be the best way to have Adachi-san’s characters drawn agitated, I figured that this would be alright for a comedic scene. Adachi: I wouldn’t know how to draw that either! (laughs) The agitated chin is the portion I want to draw least. I’d go around and around trying to figure out how to draw that part. Mori: By the way, during a previous cut in the shopping mall, the advertisement in the same position as in this cut changed. 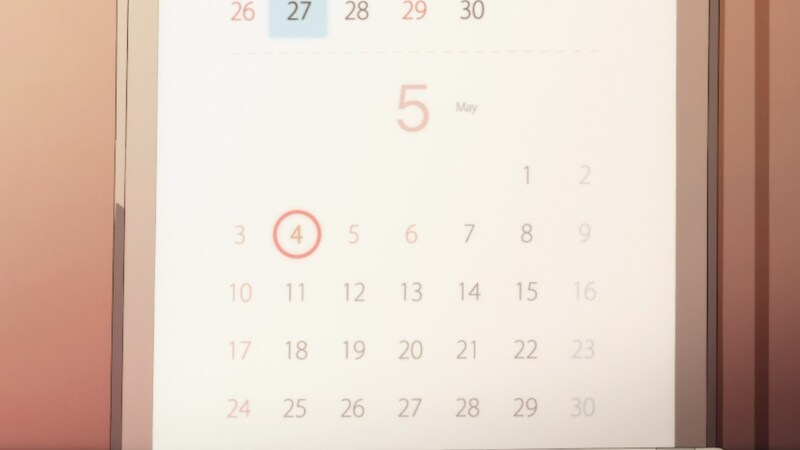 Did anyone notice that? Adachi: What? Was that a mistake? Mori: No, it was on purpose. Since that ad was a digital signboard, we changed it every time it was shown. It was shown thrice, so there were three types of ads. Adachi: So that’s how it was. It moved a lot. – Adachi-san, you served as chief animation director for the film, so how long did you spend looking over each cut? Adachi: It felt like I just chose to work on whatever cut was nearby. 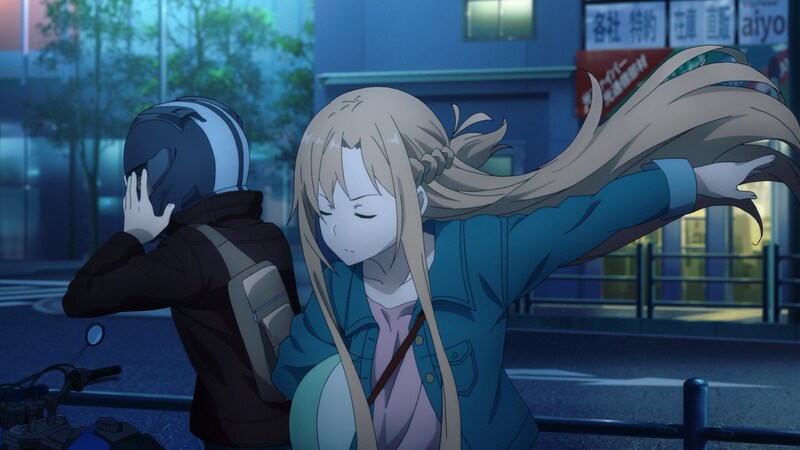 Ah, this cut where they arrive at Akihabara UDX and Asuna removes her helmet is one I felt particularly attracted to. Yanagi: You can tell that the animator in charge there loves to draw that kind of movement. 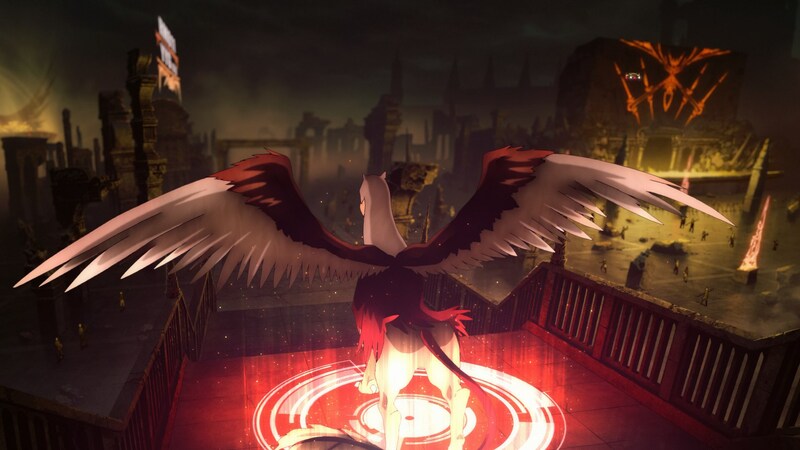 – And dark Yuna appears here. How was it to work on her scenes? Adachi: As an idol she didn’t have to dance all that much, but she’s a character that you have to absolutely draw cutely. Also, her outfit is complex. Mori: It’s very complex. It was hard to tell where to draw her skin at points. Adachi: Actually, initially we considered an outfit that was even more difficult to draw too, but I thought “let’s go with the other one.” (laughs) The cloth moving from her exposed shoulders down her arms is troublesome work. I have a solid grasp of how to work with my own designs of course, but when it came time to draw Yuna, even I didn’t wasn’t sure how to nail the drawings. Suzuki: It was a pain when her arm would twist. I was in charge of a lot of scenes where dark Yuna appeared, and the way her outfit was structured troubled me from the very beginning. Komatsubara: I also had to draw dark Yuna during the concert section, and that arm portion was a real struggle. I had some inkling of how it fit together in an animation context, but even I had my own doubts as I gradually understood how to operate it. Adachi: I talked with (Takahiro) Shikama-kun after the storyboarding stage finished. Fuurinkazan is supposed to be a veteran guild, so their movements should be organized. This cut where Eiji avoids the whirlwind (11s) cut is really nice. Yanagi: Watching it like this, there’s a lot of points where action animation director (Se Jun) Kim-san put a lot of power into the battle with Kagachi. Suzuki: My stomach was rumbling like mad when I saw the Kagachi battle in one of the “Explosive Audio Screening” events. – The monster explosions were also impressive. Adachi: Up until now, Sword Art Online has had that explosive sense to it when monsters died, but this time we decided to have the visuals distort. Yanagi-kun talked with the CG staff about how to achieve that effect. We had a lot of situations with enemies, so we had to decide on a rule. Yanagi: It took a lot of trial and error, but eventually we came to the effect you see now. – There were some boss battles that were re-done in this film. Did you wonder how to give them extra oomph for this occasion? Yanagi: We didn’t think about it along those lines. Instead, we endeavored not to make scenes that felt low quality. In order to not have any moments where one could think “this boss battle isn’t all that good”, we put the same amount of effort into them all. – Moving on from UDX, the next boss battle was at Yoyogi Gym. Adachi: There hadn’t been any animation director corrections for Eiji up to that point, so it would have been difficult for anyone. Yanagi: But you truly got the hang of it by the second half of the film. Adachi: The battle here with Klein and Eiji is really good. He really steps into the motion and his fist looks really cool coupled with the prediction line coming out. Komatsubara: This was (Yasuyuki) Kai-san’s area. Maeda: It’s the scene where he temporarily pauses before he hits, fixes the timing, and then strikes Klein. Adachi: Suzuki-san should be familiar with this MMO stream scene. Suzuki: My share of the designs for it was a bit late, so I thought I’d have to apologize to the animators and supervisors. In the end, I had to animate them myself anyway (laughs). Adachi: It’s a recital concert of (Yu) Yamashita-kun’s presenter A and Gou-kun’s presenter B.
Suzuki: It was. It was intended for Yamashita-san’s design to be like a 2 page illustration. And while I was drawing the characters from the first and second season that appeared in the cut after that, Adachi-san told me “It’s been a while since I’ve seen these guys.” (laughs) I loved the second season, so it was fun working on them. Adachi: Gou-kun also has been involved with Sword Art Online since the beginning. Suzuki: Yes. I’ve continuously been involved since the TV series started about 4 years ago. When I heard that there would be a movie, the pressure was immense. Was it really alright for me to contribute to such a project? But I was happy to work together with Adachi-san again. – The characters reappearing from the TV series feel perfect as some fan-service. Adachi: The final scene with Fukazirou yelling out was very well received by the foreign fans. 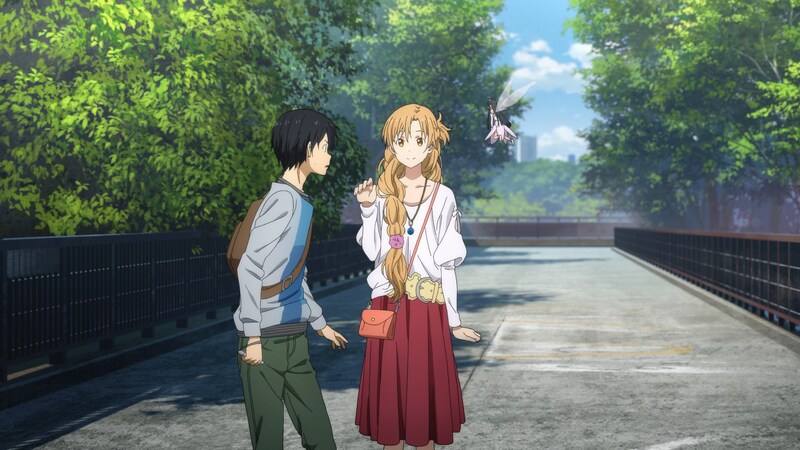 Suzuki: Asuna’s clothing during this date scene is cute as well. Nishiguchi: While I think Asuna definitely needs that tuft of hair, it felt fresh. Adachi: Asuna’s mandatory part is that tuft out from her braid on the back of her head. For some reason, it must be part of her silhouette. During the first season, there were scenes where you couldn’t see it when she was facing forward, so I didn’t draw it from the front side, but I thought it wouldn’t be right not to draw it during the second season, so I told a little fib and drew it where you could see it from the front. Suzuki: If it’s not there, her hair feels a bit lacking. 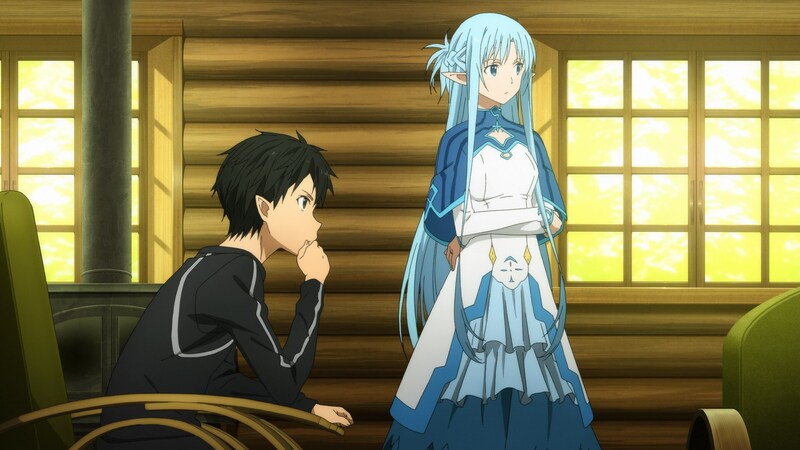 Adachi: And in the Alfheim Online scenes, the color of Asuna’s Undine hair is a bit paler than the TV series. We didn’t want her to be similar to Siune in the TV series, so we strengthened it a bit, but since then I’ve thought it was too strong. 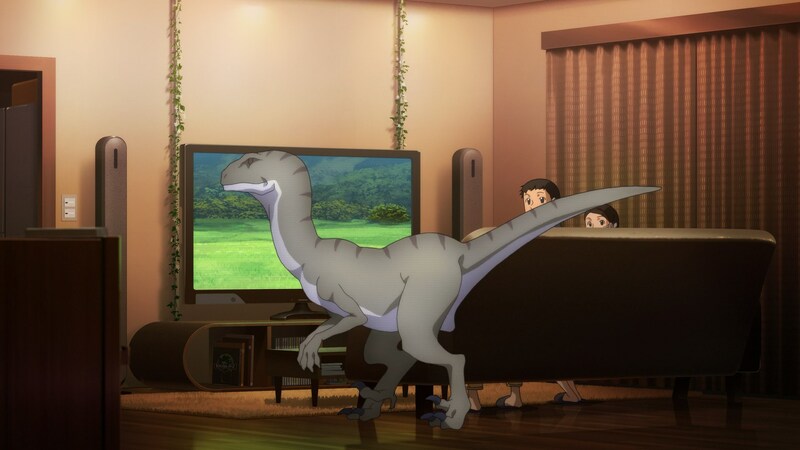 This room scene in Alfheim feels like Nishiguchi-san’s work. Nishiguchi: I’ve been involved since season 2, so there’s been a lot of scenes I’ve been in charge of in this room. Maeda: The faces definitely look very similar too. Suzuki: I think he’s the most similar to Adachi-san. Adachi: Nishiguchi-kun’s Sinon’s bust is a bit bigger. Nishiguchi: That’s true. 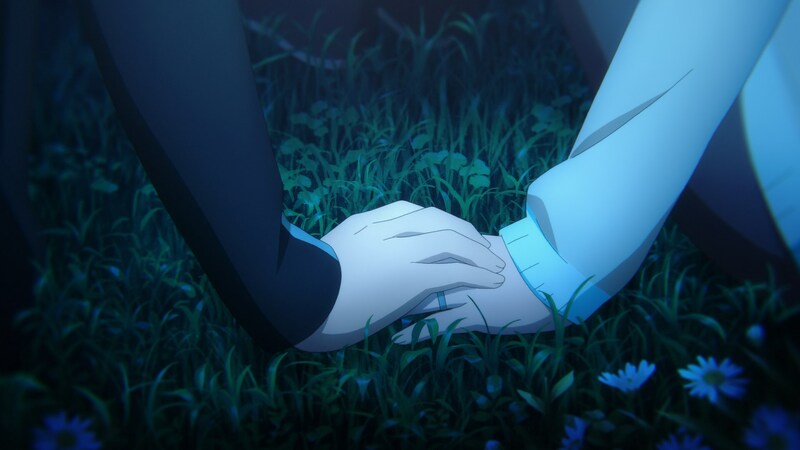 (laughs) In the Tokyo Dome scene after this, I was very pleased with the cut where Sinon appears in casual clothing. Yanagi: I couldn’t imagine the scene where Yui enters the dome being drawn by anyone other than Adachi-san. 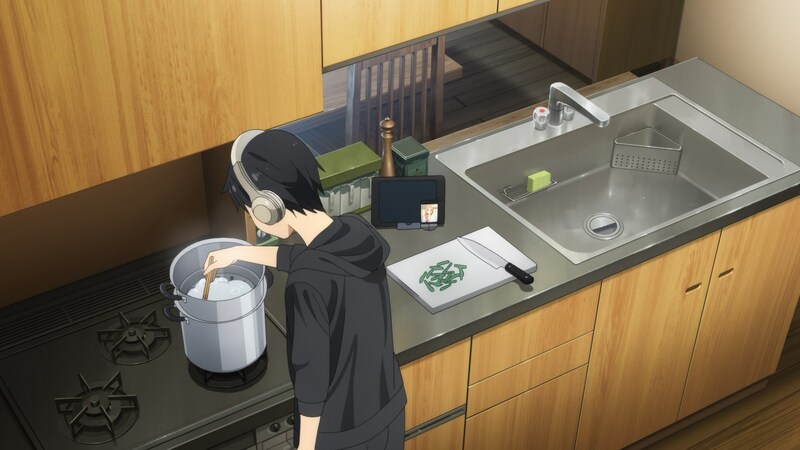 Maeda: The scene where Kirito makes pasta was drawn by (Kiminori) Ito-san. His cuts always have a lot of movement, so I’m always very fond of them. They convey a very realistic feel with their motion. Adachi: The way the chopsticks hit against the top of the pasta pan is very nice. That’s one example of the type of gestures he includes. – Next is the battle at Ebitsu Garden Place. Suzuki: This footage seems like the work of AD (Naoto) Nakamura-san. Adachi: During this chain of events, Yanagi-san served as both action AD and effects AD. The way Silica runs here is quite cute. It’s a repeat, but I wanted to use it for something. Yanagi: You were particularly obstinate over how Silica would run. (laughs) I always wanted to draw her, but never had the chance to. At last, I finally got to do it. Maeda: Do you love Silica? Yanagi: Yep. I wasn’t in charge of any episodes where she appeared in the TV series, so I never had a chance to draw her until now. Adachi: The way that dragon comes out of that explosion is quite impressive. Nishiguchi: The way that Asuna runs during her dream scene was quite nice. Suzuki-san supervised that. Suzuki: (Hironori) Tanaka-san drew the key animation and (Katsuhiko) Kitada-san was 2nd Key Animator for that scene. Mori: It’s drawn on a level where it seems like every drawing is key animation, and it’s just amazing how it moves that smoothly. I’m surprised at how pretty her hair looks too. Adachi: That reminds me of something. In this film, we added a line across her nose. How was handling that? Was it difficult? Adachi: I thought so. 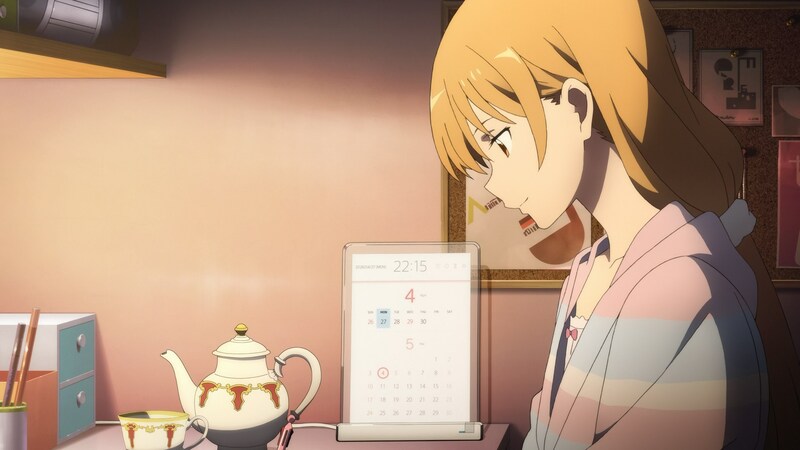 Since the original novel illustrator abec-san draws it, I thought it would give a bit of three-dimensionality to her nose, but there are times where it becomes a hindrance. – Why did you think to insert a solid line there? Adachi: The lines around the nose would bring a point of three-dimensionality to it, but we only used it for cuts where she was facing forward or to the side a little bit. It was drawn in the novel illustrations taking that into account, so I wanted to try and dig out more details from those illustrations for this film. However, I’m glad that I settled on some restrictions, such as how it didn’t have to be there for long cuts, or the ones that were already too difficult as they were. 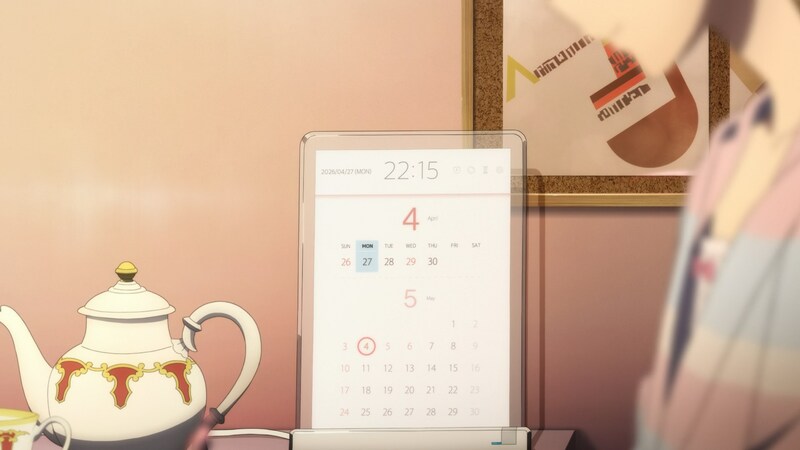 Adachi: How was this cut where the camera zooms into the calendar on Asuna’s desk made? Mori: By giving it everything we had. We drew the key frame using high-resolution materials, and we estimated the size needed for the backgrounds, then put it together it using an overlap at some point during the middle for some reason I can’t recall. – The battle in the underground parking lot was supervised by Komatsubara-san, right? Komatsubara: Yes. I was given the Eiji fight. Thanks to the corrections from the chief animation director, I was able to grasp the characters myself. However, I really had to work on Eiji’s expressions. In the latter half of the fight, I only corrected Eiji himself. Yanagi: It moves like in the VR world. – And so we finally reach the climax of the film. Yanagi: This final battle scene, by the hand of (Nozomu) Abe-san, was fantastic. I wonder if anyone hand to leave the movie theatre because of the flashy lights. Checking it was a pain though. Adachi: The amount of key animation for just a 2 second cut reached a dictionary-size level. 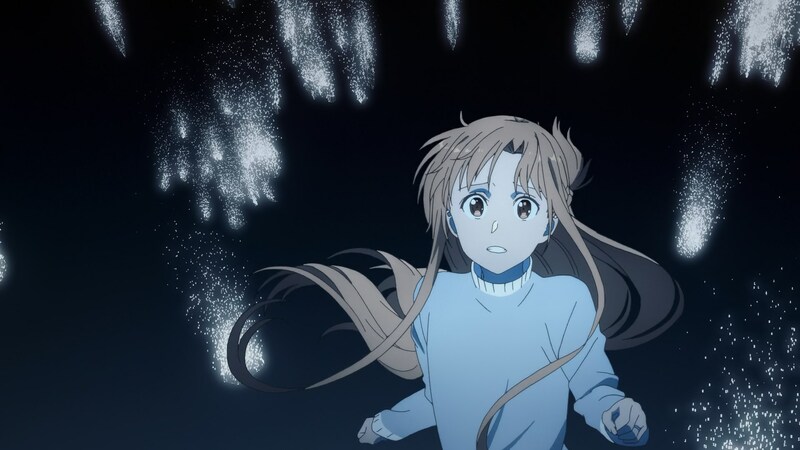 Mori: The key animation for the scene starting when Asuna joins the fight was by (Sakazume) Takahito-san. 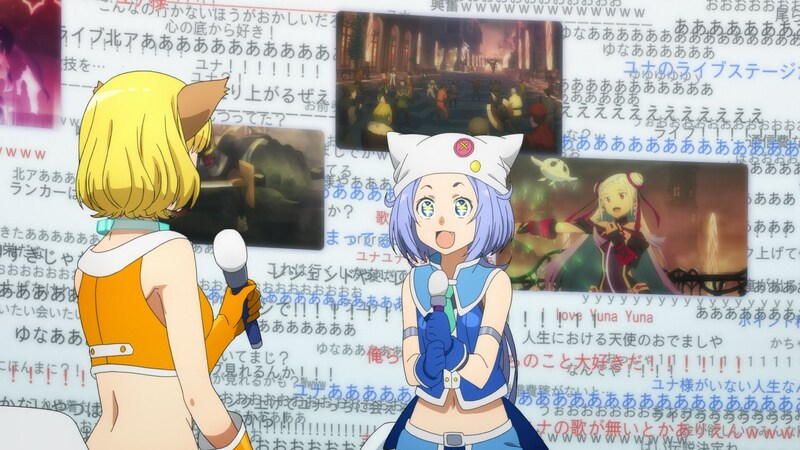 Mori: Speaking of the final battle, the last explosion was immensely colorful. Mushi Production had stuffed so much color into the composite that I almost couldn’t see the animation. And then after watching it, I couldn’t help but notice just how much that had changed from the first take. Komatsubara: The Dicy Café scene after the battle was really good. Mori: That’s (Chiemi) Kurosaki-san’s work. 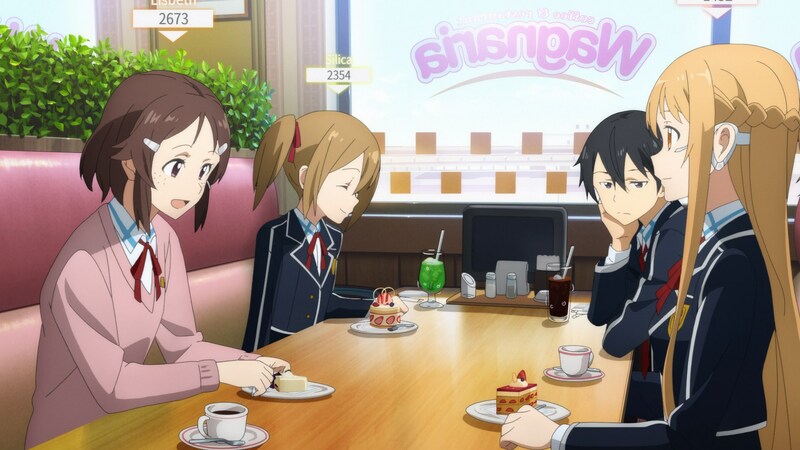 Adachi: It was wonderful to see the words “SAO will return” pop up on the screen. I thought that the foreign fans may not know the developments of the novel, so they might not get excited at this point. – Please tell us your thoughts after participating in this film. Yanagi: I feel relieved. It was the return to a work I’ve been involved with after quite a while, as well as the first time that I got to participate as part of the main staff for a film. At first, I wondered if it would ever end. Reaching the goal was like a dream, but once it was done I simply felt thankful. Maeda: Checking the reactions of fans, I saw a lot of people saying “the action was awesome!” so I thought I should become an action animator. (laughs) I need to work on my action scenes. Adachi: Maeda-kun participated because he loves the franchise. 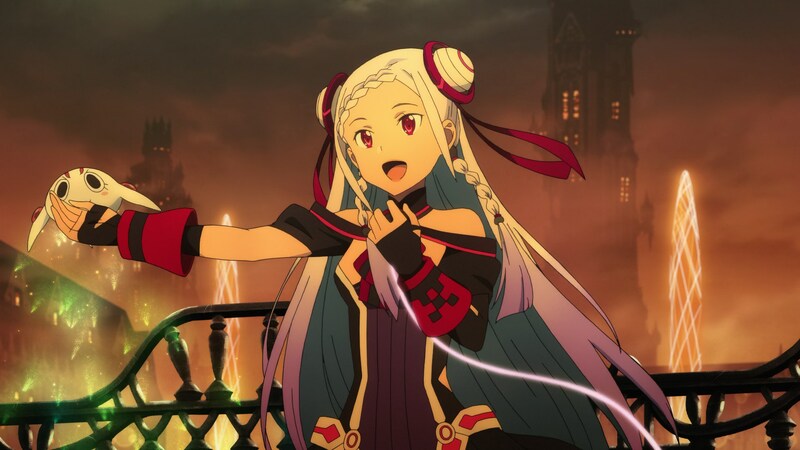 If it wasn’t for Sword Art Online, would you have never become an animation director? Maeda: Right, that’s pretty much the case. I can only begin correcting once I understand how the sequence comes together. Being here, I’ve also been able to learn from immensely talented animators. Suzuki: I also felt relieved. I was in charge of the everyday life scenes, not the action ones. Since we left no regrets behind, we made something that I think people can enjoy casually. I believe that kind of thing is nice. 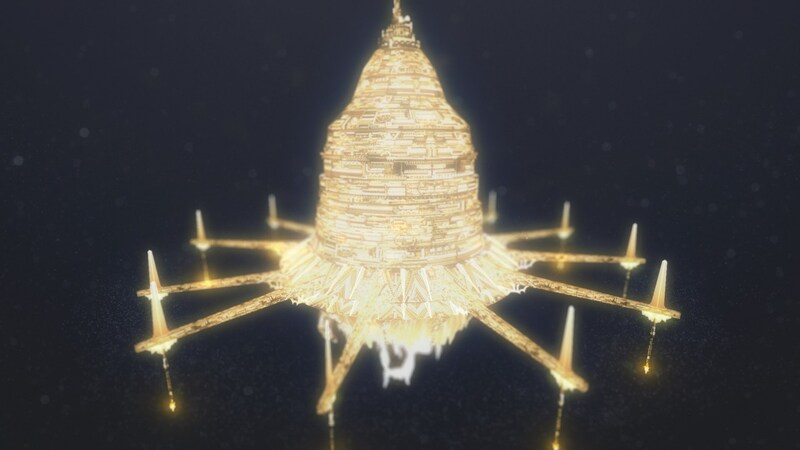 Nishiguchi: This was the first time I worked in prop design. As such, I made some mistakes along the way, but I won’t make them next time. Komatsubara: I’ve not been a part of this series before now, so I felt a bit out-of-place. I’d always wanted to work with Adachi-san, which is why I’m so grateful to this film. Adachi: I recall a time when I was simply an animation director and you handed me your key animation, when you were still a newbie. You’ve improved a lot since that time. Maeda: But you had such big presence! At first, Shikama-san had us all tense at the studio. When that was dying down, it was you who raised the spirits instead of him. I had my own doubts about being able to do my job properly. – Finally, please give us a comment Adachi-san. Source: Sword Art Online The Movie OS Production Book, available on Aniplex+. i wanna watch it but with people saying it bad im not usre if i should watch it.